Emmy Awards Archives - Build the Brand. Protect the Brand. 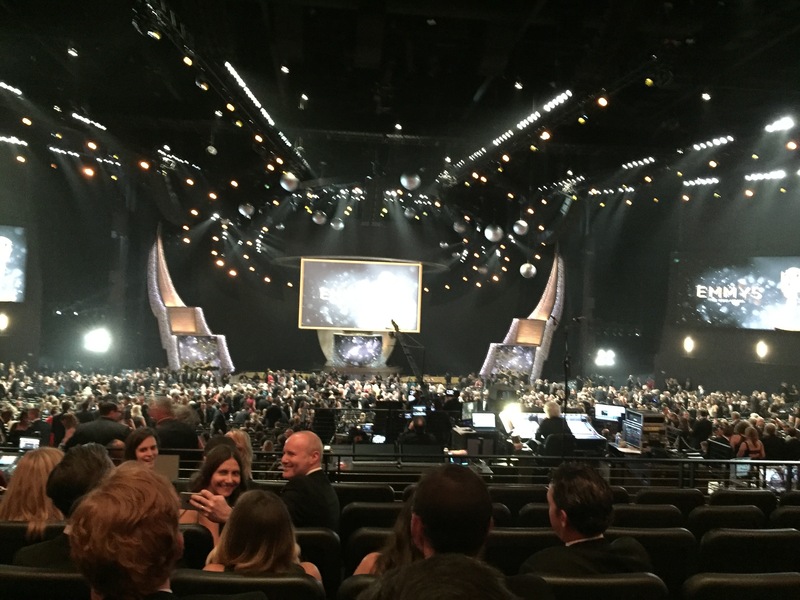 It’s one thing to read the proclamation that “TV is dead,” and quite another to see that “dead” industry on display, vibrant and alive at this year’s Emmy Awards, which I happily attended. Leave it to a tech-infested strat geek to look past a pageant of literally the most beautiful people in the world and into the guts of “What the heck is really going on with TV these days?” Based on the Emmy festivities hosted by the Academy of Television Arts and Sciences, there seems to be more energy behind TV than any other medium, internet included. That energy is flowing on all fronts. TV Helps Us Question and Better Understand Life? Creatively, TV gives nothing away to motion pictures in terms of quality of its storytelling, performance and production. Despite the Kardashians, there’s incredible intensity behind social change and diversity. TV at its best breaks through the dogma, helping us question and better understand what we believe, who we love and how we look at the world. Heck, even the title sequences are breakthrough. My father was a TV “pioneer” back in the ’50s, and he’d be floored to see that the altruistic promise of the medium paid off as well as it currently has. That’s because TV untethered from the tyranny of the three networks takes risks. Big time. As an example, actor Jeffrey Tambor and director Jill Soloway both won Emmys for Transparent, a show about gender roles told through a transgender woman that is produced and distributed by Amazon. Every part of that sentence was impossible to contemplate even five years ago. Amazon sells stuff, right? The shift away from network TV is complete. The three big “network” winners were HBO, Netflix and FX. HBO’s total of 22 awards was nine more than the traditional Big Three combined. More telling was the vibe. It felt less like an “industry event” and more like an edgy conference of creatives. So what’s really going on here? Massive creative destruction where undeniable, fast-moving subversive forces are overturning a massive, antiquated status quo. Again, despite the Kardashians, TV is no longer a race to the bottom. It’s aspirational. That’s because companies like Amazon and Netflix don’t need to aggregate millions of viewers for their business models to pay out and therefore don’t need to produce vapid “common denominator” entertainment. They can afford to push the limits and do so at every turn. Finally, TV untethered is TV redefined. For the past five years or so, clients, agencies and technologists have been wrestling with the shift from TV as a device and a medium, to TV as a loose descriptor for “long-form content.” That transformation is complete. The net of it is that TV is far from dead. It is still a premium reach/branding vehicle (time-shifted, IP-delivered or otherwise). But it’s also become a powerful culture shaper and newly minted hotbed of creative risk-taking and boundary-breaking content. Which actually defines what we should strive for, for our clients: brand-building, culture-shifting, boundary-breaking work. This week, Jimmy Kimmel is moving from his midnight time slot to 11:35 pm, entering the ring with the late-night heavy-hitters of Letterman and Leno. ABC is hoping that the 25 minute difference will help boost their ratings, because simply put, many people decide to go to bed around midnight. There are a lot more people still watching TV at 11:35 pm than at midnight. This shift is historic because it will be this first time that all three of the major broadcast networks will have late-night talk shows all competing at 11:35 pm. The arrival of Kimmel in the 11:35 time slot means a younger generation is starting to plant its flag there. At 44, Kimmel is younger and edgier than Leno and Letterman, both in their 60s, and brings the highly coveted 18-49 demographic. Kimmel will also have a head start on Jimmy Fallon, who has been rumored to be the heir apparent for Leno at NBC. It’s no coincidence that the time shift comes at a time when Kimmel’s audience is steadily growing, while his rivals’ ratings are slipping. 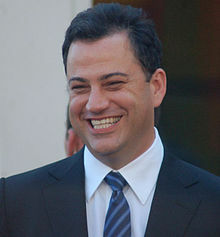 This past year, Kimmel was well-received hosting the White House Correspondents’ Dinner, and hosting the Emmy Awards. Jimmy Kimmel Live! is also coming off its most-watched season in five years, growing 3 percent in total viewers and proving the only broadcast late night show to register an uptick this year according to ABC. Although the Kimmel show still lags far behind Jay and Dave in the ratings, with a viewership of only 1.9 million, compared to Leno’s and Letterman’s viewership of around 3 million each, Kimmel is a legitimate threat to the current late-night landscape and should prove to be a solid move for ABC.